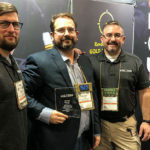 During the2019 SHOT Show Ken Jefferies & Associates Director of Sales South, Brian Jones was awarded 2018 “Hustle” award from Holosun. 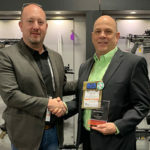 Morrisville, N.C. (SHOT Show 19) – Ken Jefferies & Associates, LLC, is a leading manufacturer’s representation and marketing firm within the outdoor and shooting sports markets. 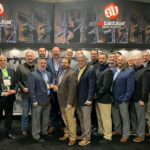 Holosun Technologies, located in Walnut California, was established in 2013 by one of the industries most successful OEM manufacturers. 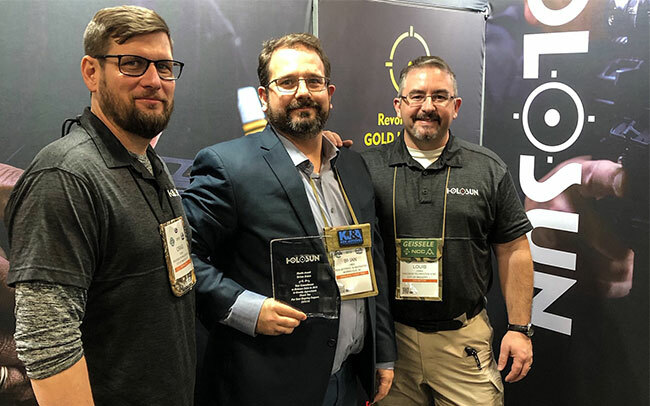 Holosun is committed to creating innovative optic, laser/IR technologies that benefit a broad range of shooting, hunting, law enforcment and military needs. Using the quality manufacturing standards demanded by some of the best know optics brands in the world, with a wide range of affordable options, we provide military grade optics without the military grade price. 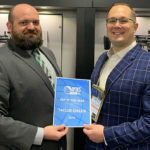 Over the course of the past decade, Holosun has been at the forefront of developing new sight technologies to fulfill a variety of shooting needs. 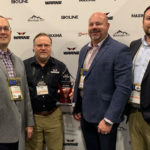 Our product line includes innovations such as; 50,000 hour battery life, solar options, the ability to change reticles with the press of a button and IR/Laser units that utilize the most recent advancements in laser and LED technology. At Holosun, we pride ourselves on producing cutting edge equipment with a competitive price that astounds the competition and the end-user.